As a Finance or Treasury professional, you need to keep updated on events within the surrounding domestic and global economy, while considering how those variables may impact your business. TMAC Toronto is pleased to be hosting our first Educational Session of the 2017-2018 season, providing you with an Economic Update on the dynamics of both the domestic Canadian and global economies. Craig Alexander brings over 20 years of experience in the private sector as an economic and financial forecaster to the position of Senior Vice-President and Chief Economist. Mr. Alexander oversees the Board’s Economics Department. This group produces macroeconomic forecasts for the Canadian economy, provinces, territories, and industries. It runs centres on global commerce, tourism and municipal studies. There are also networks and centres related to immigration, skills and education policy – areas that have a significant impact on Canadian labour market outcomes. 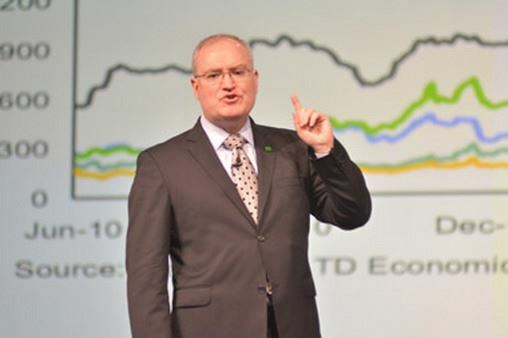 Previously, Craig was Senior Vice-President and Chief Economist for TD Bank Group—the second largest bank in Canada and the eighth largest in the United States. Prior to joining the private sector, he spent four years as an economist at Statistics Canada.